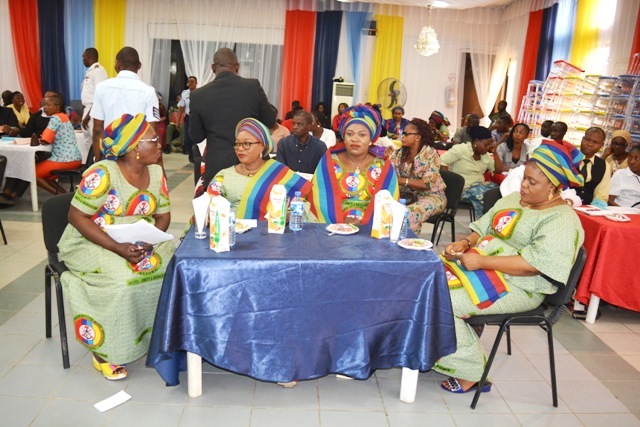 Defence and Police Officers Wives Association DEPOWA has organised a 3-Day Workshop for fifty three School Teachers/Instructors in the DEPOWA School network. Declaring the workshop open at DEPOWA Secretariat in abuja, the President of DEPOWA, Omobolanle Olonisakin said the gesture is to promote excellent and effective teaching and learning environment for students, pupils and trainees. Mrs. Olonisakin however encouraged the participants to participate in the training process, as learning with interactive activities will make it possible for them to better retain the information taught. On his part, the Commandant of DEPOWA Schools, Lt. Commander, Festus Onewokae noted that training and retraining of teachers is key and will further develop their profession, according to him, if the teacher is not been trained, using past experience to teach may not give the opportunity to meet up with new concepts in the teaching profession. This is the second time the association will be organizing a workshop for it’s teachers in order to effect their professionalism.